It is about time that at least one of those many invasions into the United States has garnered massive attention from both the media and “We the People”. But the problem is, far too many people are seemingly more concerned about the aid and comfort of those hell bent on illegally invading the United States, than protecting our national sovereignty and unique American exceptional culture. The American Dictionary of the English Language Noah Webster 1828 edition plainly defines the word invasion. It sates: A hostile entrance into the possessions of another; particularly, the entrance of a hostile army or mob into a country for the purpose of conquest or plunder, to change, or the attack of a military force. The north of England and south of Scotland were for centuries subject to invasion of England by William the Norman was in 1066. Also, an attack on the rights of another; infringement or violation. The word invasive means; Entering on another’s possessions with hostile designs; aggressive. Infringing another’s rights. The word Nationalism means to simply place one’s own nation in high regard, promote the well being of one’s own society. To place the interest of your nation above the interest of other nations, illegal border crossers, etc. That does not mean to take advantage of other nations, but rather to prevent other countries from taking advantage of ournation. One of the prime duties of government is to protect our nation from enemies both foreign and domestic. Unfortunately, today America’s most dangerous enemies are in the collegiate classroom. It is there where the likes of Eric Holder, Michelle and Barack Obama, Joe Biden, almost all dragon media news anchors, talk show hosts and reporters are completely indoctrinated to hate America and prefer globalism. 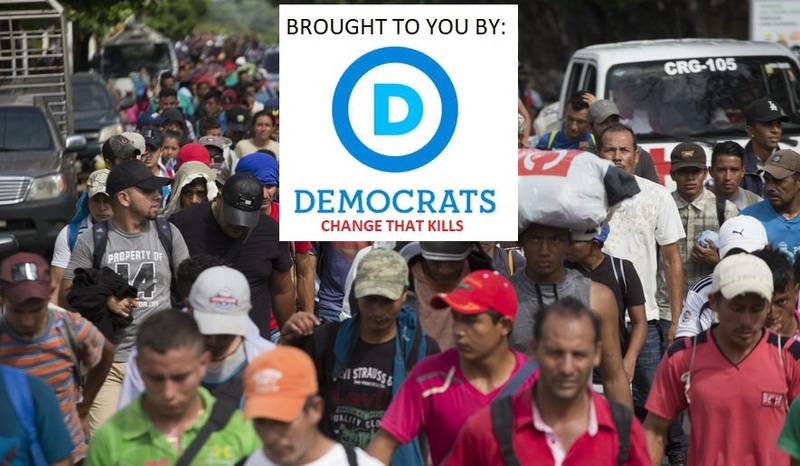 Thousands and thousands of filthy migrants are slinking toward our unprotected southern border. It is rumored that many Central American prisoners have been released and are part of the mass of individuals heading toward our republic. The fact that many people in both the Congress and the Senate are actually in favor of allowing the gooks into our republic proves that the time is now for patriots to unite and fight back. Without such an effort, the leftist politicians and Soros funded activists will continue to be emboldened in their mission of intimidation and national destruction. These enemies from within do not like this nation, our constitution, our unalienable rights which come from God, nor the God who gave us those rights. One of the enemies from within, Mrs. Hillary Clinton recently said that “there is no reason to be civil until we win”.Washed up rock and roller Madonna said she dreamed of blowing up the White House. Former attorney General Eric Holder stated “kick them when their down.” Crazy Maxine Waters screamed encouraged people to harass anybody who supports Trump. The truth is, many elected officials who are supposed represent you and I who pay their salaries are in support of the 14 thousand plus invaders who seek to poison the United States with their presence. Drug dealers, MS 13 gang members and human traffickers are among their ranks. For those who do not know, many of our elected officials have crossed over and joined in the Cloward Piven inspired strategy to help fundamentally change America first via indoctrination in government schools. After decades of that madness, they now have millions of brainwashed Americans who accept and encourage legions of American hating villains who will wreak havoc to invade our nation at taxpayer expense to bum rush our border and file on in unvetted. I believe that one of the many evil results of the scourge of abortion has been the replacement of millions of murdered unborn Americans with illegal border crossers. Leftists and the big wig Chamber of Commerce types say we need the illegal border crossers to fill jobs. That is bunk. They mainly want the illegals here to breed, change our society and vote for democrats. The enemies from within are out to wipe out every aspect of our Constitutionally limited form of government, our Christian heritage and national sovereignty. They also seek to decimate equal opportunity and replace it with government mandated equal results. Thus the time is here for us to become the resistance movement against those enemies from within who are plotting to literally destroy our exceptional nation way of life. Voting in good statesmen and women is a decent start, but our republic does not have a chance to remain great in the long run, unless what is taught to succeeding generations is dramatically revamped. Almost all the enemies from within America became the detriment they are due to being indoctrinated in government school, especially University. What is taught to one generation dictates the direction the nation takes in the next. Above all “We the People” must seek Providential guidance or we try to rescue and revive our republic in vain. God bless you, God bless America, and may America bless God. Be blessed by The Ron Edwards Experience every Friday on KCKQ AM 1180 Reno, Nv., www.americamatters.us, SHRmedia and Spreaker at 4:00 PM ET, 3:00 PM CT, 2:00 PM MT, and 1:00 PM PT. 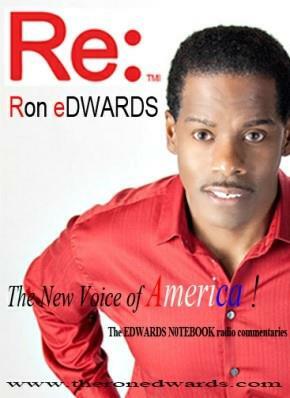 The Ron Edwards Experience is now a part of the weekend radio lineup on KYAH AM 540 Delta. Utah 5:00 PM PT, 6:00 PM MT, 8:00 PM ET. Also catch a page from The Edwards Notebook commentary during the weekend edition of Captain’s America Third Watch emanating from flagship station WGUL AM 860 Tampa, Fla. To 90 radio stations across America and worldwide www.am860theanswer.com.